Leicester director of rugby Richard Cockerill says outgoing flanker Jamie Gibson still has a big part to play. 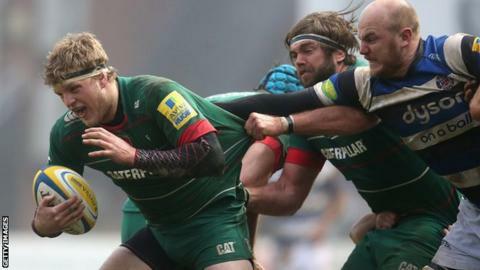 The 24-year-old has agreed a deal with Northampton Saints for next season and was left out of the Tigers line-up for Saturday's European Champions Cup defeat by Ulster. "He wasn't picked because Tom Croft needed game time," Cockerill told BBC Radio Leicester. "But he's a Leicester player and I'll pick him as I see fit." Gibson has appeared at numerous England age levels and also played for the England Saxons, as well as for the senior side against the Barbarians in 2012. Cockerill added: "There are lots of people who have left when I have been here and have played in finals and then moved on. "It's all about what happens this year and if Jamie is the best guy to play he will play."